Do I Need to Carry Documents While I’m in Traveling within the USA? Do I Need to Carry Documents While I’m in the USA? The short answer is: yes. Any alien within the borders of the United States must carry their documents with them at all times. Additionally, duration and location of stay do not impact whether or not you need to carry identification documents with you. You could be living in Greensboro, North Carolina or only visiting for a few days. Your documents should be with whenever and wherever within the United States. Can I travel within the US with a Foreign Passport? Again, yes, you can take in all of the incredible historical, cultural, educational, and entertainment sites spread across the United States using a foreign passport. Domestic travel within the U.S. is one of the best parts about spending time in this diverse country. Again, remember to carry your documents with you at all times. (e) Every alien, eighteen years of age and over, shall at all times carry with him and have in his personal possession any certificate of alien registration or alien registration receipt card issued to him pursuant to subsection (d). Any alien who fails to comply with the provisions of this subsection shall be guilty of a misdemeanor and shall upon conviction for each offense be fined not to exceed $100 or be imprisoned not more than thirty days, or both. You probably noted the last sentence in Section 264(e) of the Immigration and Nationality Act. This segment details the penalties an alien incurs for not adhering to this statute. Failure to carry your documents will find you guilty of a misdemeanor crime resulting in a fine not exceeding $100 and/or 30 days in prison. All non-citizens of the United States carry their immigration registration document. Any change in address must be reported within ten (10) days. What are the requirements to enter the United States? Any alien entering the United States is required to present a valid, unexpired passport and a visa issued by a U.S. Consular Official. Depending on the country of citizenship, some foreign nationals are allowed to travel to the United Statement for business or tourism purposes for 90 days or less without obtaining a visa, as detailed in the Visa Waiver Program. Are you required to carry your green card at all times? Yes, if you have been issued a green card, you are required to carry it with you at all times. If you are not authorized for a green card, you must carry one of the numerous forms of registration documents, such as the Form I-94 or I-766. You also want to ensure you are carrying documents with the correct address. If you have recently moved, you should immediately update your address with the proper government agency. Technically, you are supposed to inform the government of your new address within ten days of obtaining it. Can you use your ID to cross the border? Regardless of where you travel once you’ve entered the United States, you must always carry your documents with you. If you arrive in Greensboro, North Carolina but intend on driving across the country, you won’t be required to show your identification to cross any state borders. However, if along your journey you are asked for your documents, you should have them readily available for inspection. There are many nuances to immigration law, which frustrates and confuses those unfamiliar with this specialized portion of the legal system in the United States. Rather than ignoring any legal issues you might face, such as family-based petitions or citizenship applications, work with one of the top immigration lawyers in Greensboro, NC. 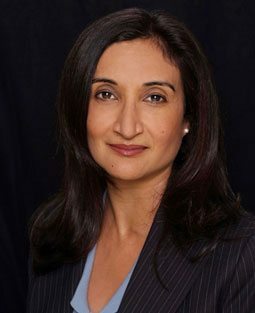 Neelam Bhardwaj has over 25 years of experience assisting the local community with anything and everything related to immigration law. As an active member of the American Immigration Lawyers Association, Bhardwaj volunteers her expert services to the Women’s Resource Center of Greensboro. Don’t let your immigration questions go unanswered. Schedule an appointment with Neelam Bhardwaj today!